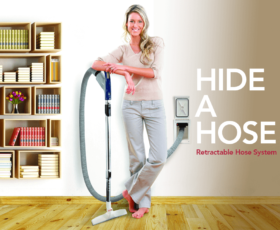 Australian made Premier ducted vacuum cleaner systems for Gold Coast properties are affordable, safe and user-friendly. 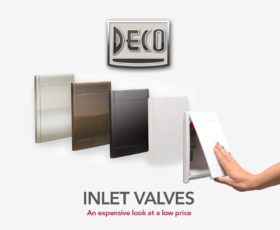 All of our Systems can be easily installed in new or existing homes. We’re always happy to quote on installation for your Gold Coast property. The filtration methods used in ALL Premier Clean vacuum machines are of the same high level, filtering out sub micron dust particles to 99+%, less than .1 of a micron. All the motors used in our Ducted Vacuum Machines are made exclusively for Premier Clean to our specifications by Ametek – the largest manufacturer of air moving motors in the world. Premier Clean Ducted Vacuum filter bags are a high efficiency synthetic material with multiple filtering layers. Simple and easy to use, a Premier Ducted Vacuum Cleaner System is the most convenient, efficient and quiet method of cleaning your house. Ducted vacuum unit installed into garage. 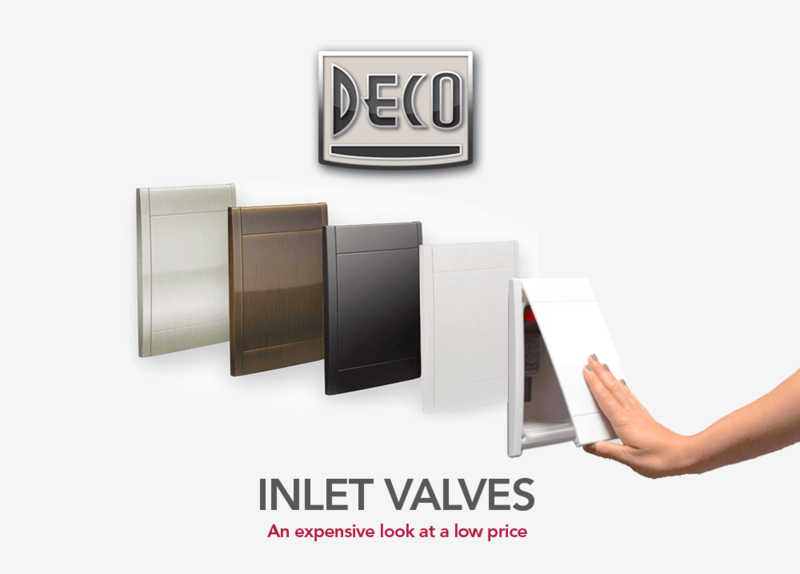 Vacuum inlets installed throughout house. Hose connected to the floor tool of your choice. A Premier Clean Ducted Vacuum System is affordable, safe and user-friendly. 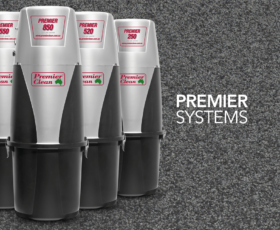 Premier ducted systems cost little more than a conventional vacuum cleaner and ensure a healthier living environment for you and your family. 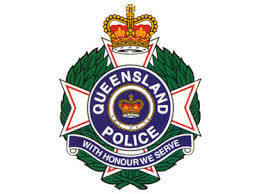 TES Gold Coast have a long association with Premier Clean. We make the process of installing your new ducted vacuum quick and enjoyable. We’ll manage the process from start to finish, installing the ducted vacuum unit in your garage (or similar space) and ducted vacuum inlets strategically located throughout your Gold Coast home. Once installed, all you do is plug in a hose and vacuum. The Monarch series is a modern and efficient ducted vacuum system or also known as central vacuum system with a filter bag unit. 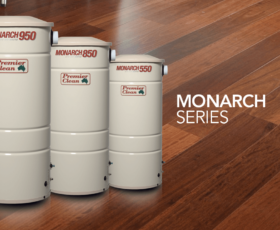 With a range of models and features to suit every home, the Monarch series offers up to 5 years warranty. Offering the ultimate in flexible cleaning, the Premier Hybrid ducted vacuum cleaner series can be used with or without a bag. Made from high-grade ABS material, with a powerful motor, larger air flow and a variety of features to choose from, the Hybrid series has been designed for convenience and versatility of use. 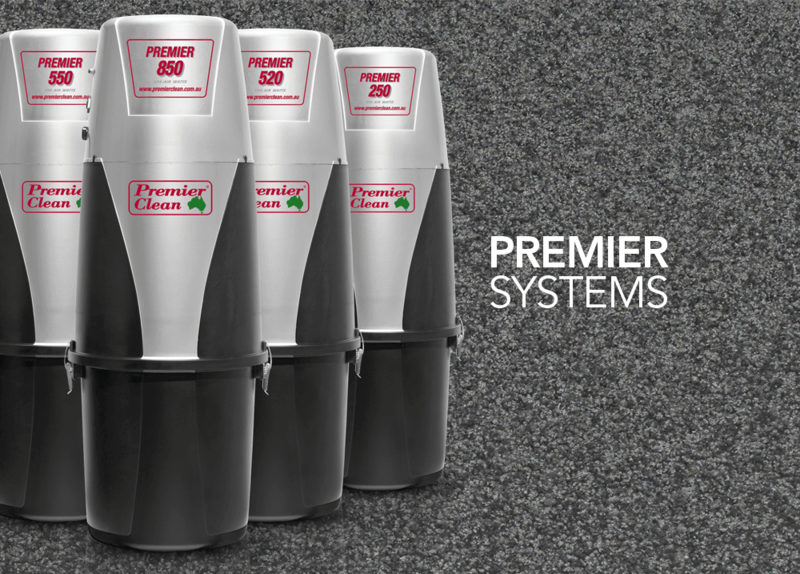 The Premier Metal Series offers a wide selection of bagless ducted vacuum system, equipped with a weighted filter. 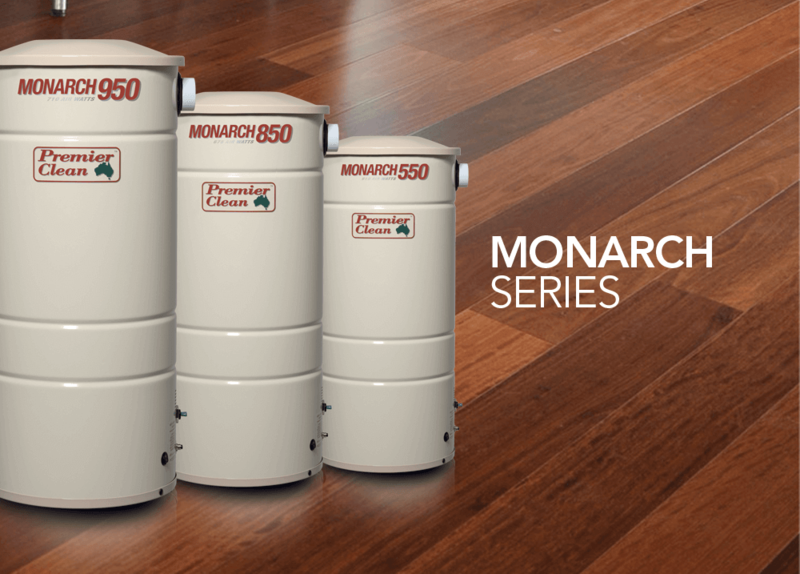 Premier Metal 3000 ducted vacuum is suited for small to average sized homes. Three-year warranty. The Compact ducted vacuum system series is small but powerful. Made from steel and finished in high-grade powder coating. Compact Two ducted vacuum with bag is suited for small to average sized homes. One year warranty. 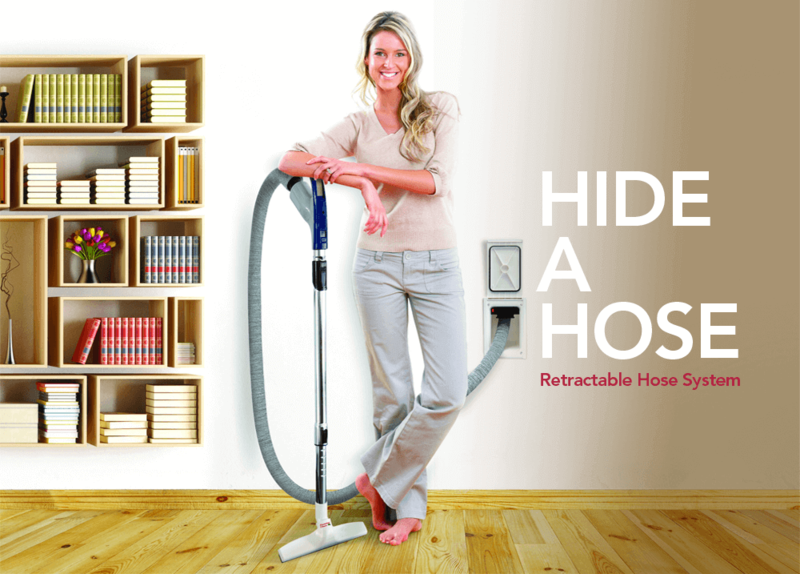 Ducted vacuum cleaners featuring the Hide-A-Hose system is a revolutionary design that hides the hose in the wall. Open the inlet, pull out the hose and start vacuuming. Contact us for a free quote on a ducted vacuum cleaner for your home.